This is truly a special collectable item as it was only made for one year and then the mold was destroyed. See below for the story. 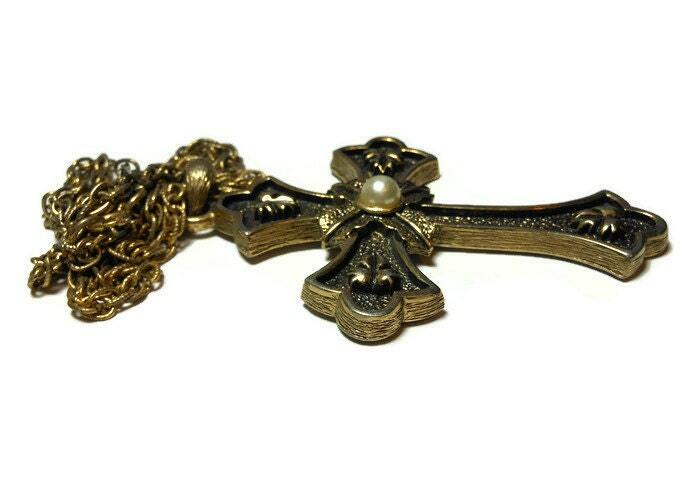 The cross measures 3 3/4" (9.5 cm) including the bail by 2 3/8" (6.1 cm), the chain is 24" (61.0 cm) in length, and they in very good vintage condition. 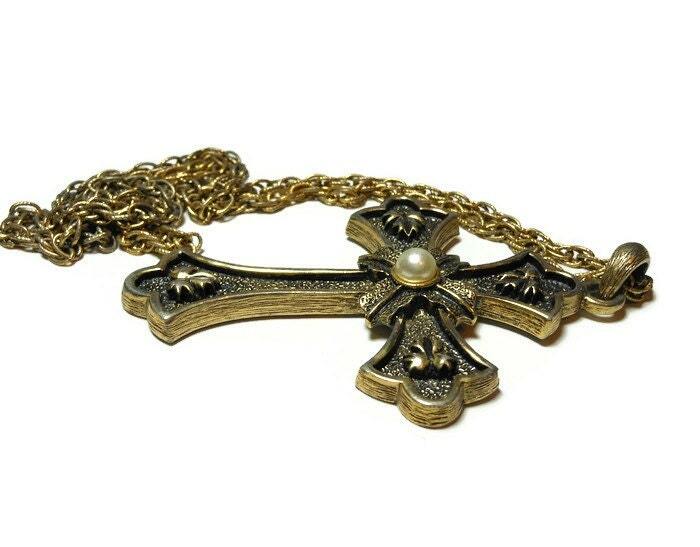 Great religious gift for convert, wedding, confirmation, first communion or any reason! 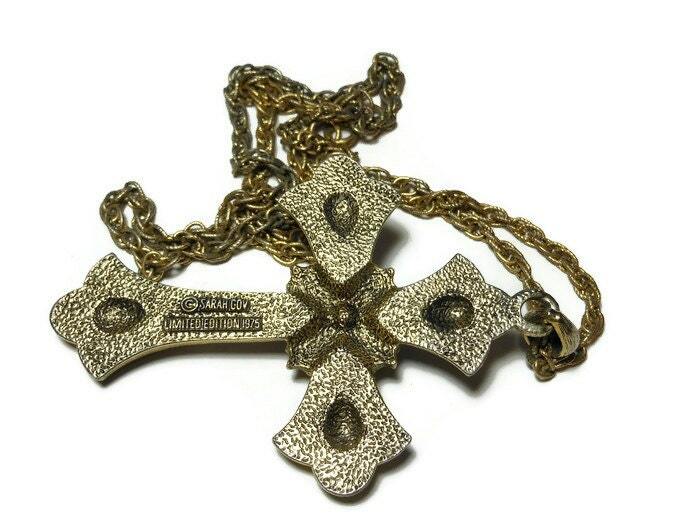 The original box had a card with this on it "This exquisitely designed 1975 limited edition cross was inspired and copied from a treasured family heirloom cross over one hundred and fifty years old. 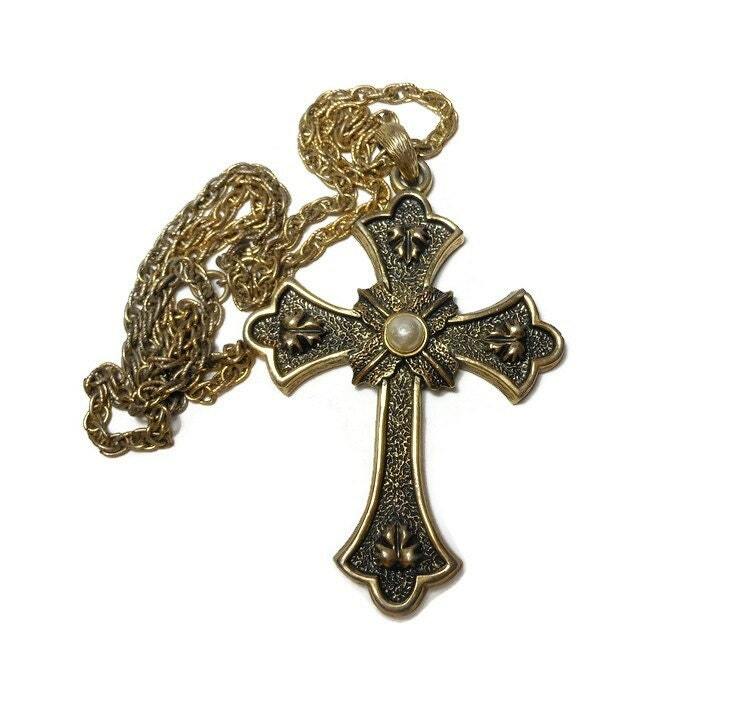 Sarah’s PEACE Cross is approximately three times the size of the original and is hung on a 24 inch antique golden tone chain. A richly textured background of antiqued golden tone carries one leaf in all four points of the cross. A crisscross design of leaves in the middle boasts a large lustrous simulated pearl. 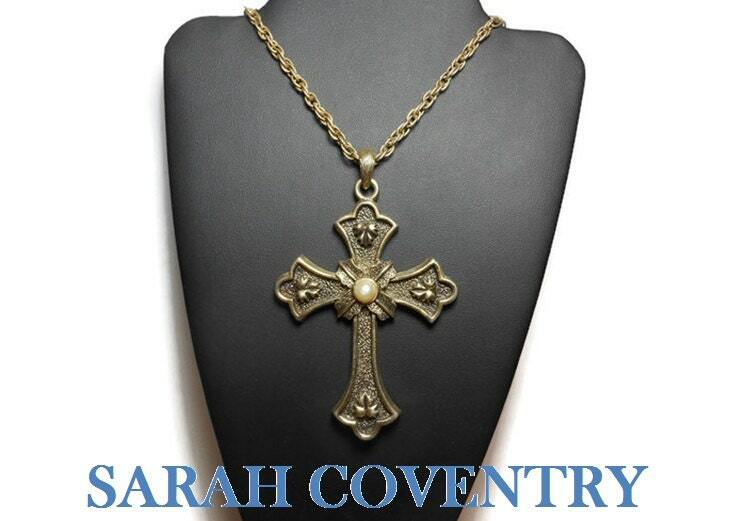 Make Sarah Coventry’s 1975 Limited Edition PEACE Cross your cherished family heirloom. PEACE is available from January through December 31, 1975, at which time the mold will be destroyed"